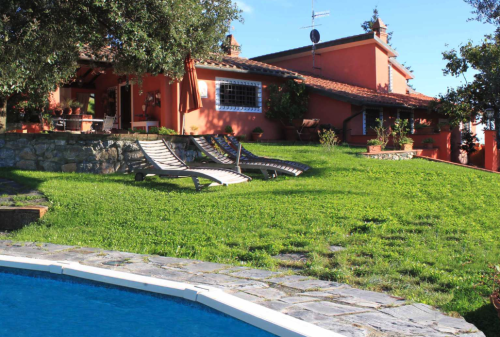 Well restored country property with pool and extensive land . 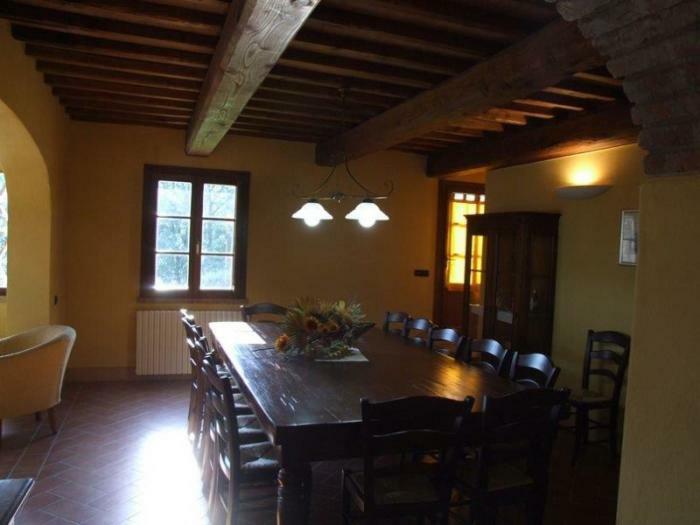 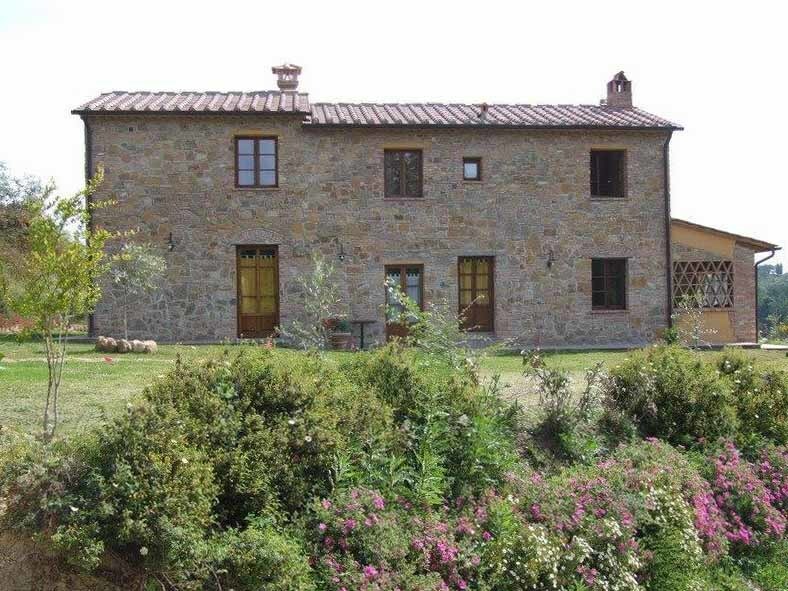 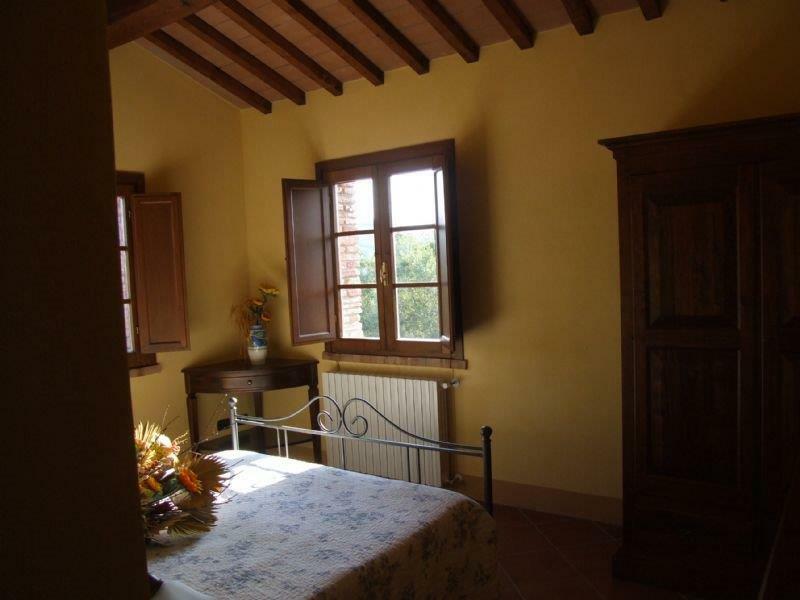 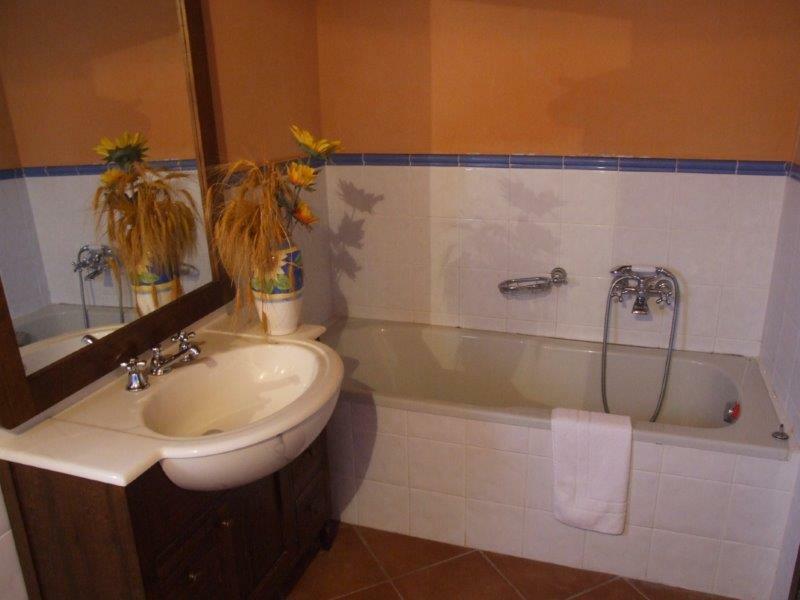 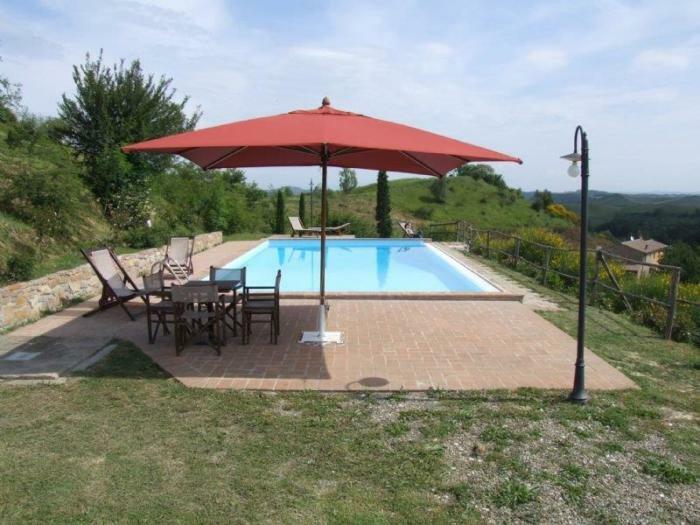 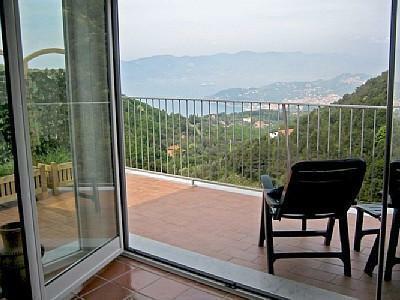 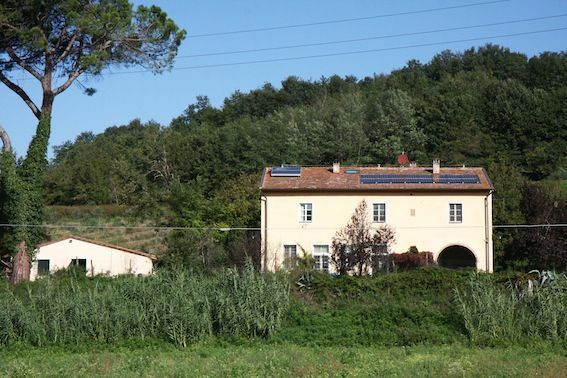 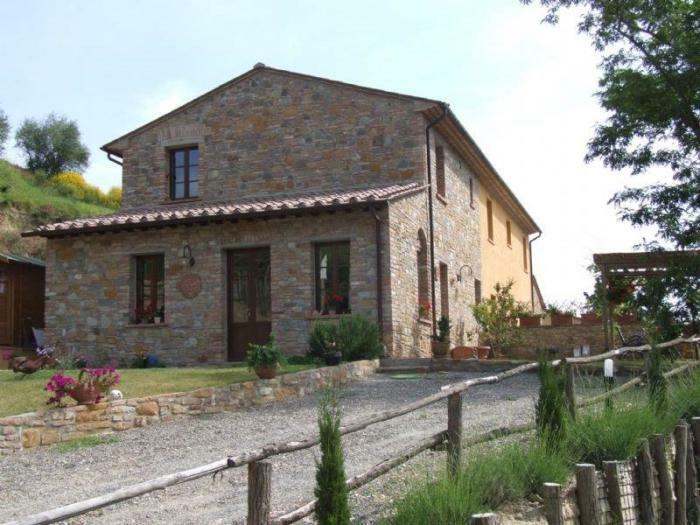 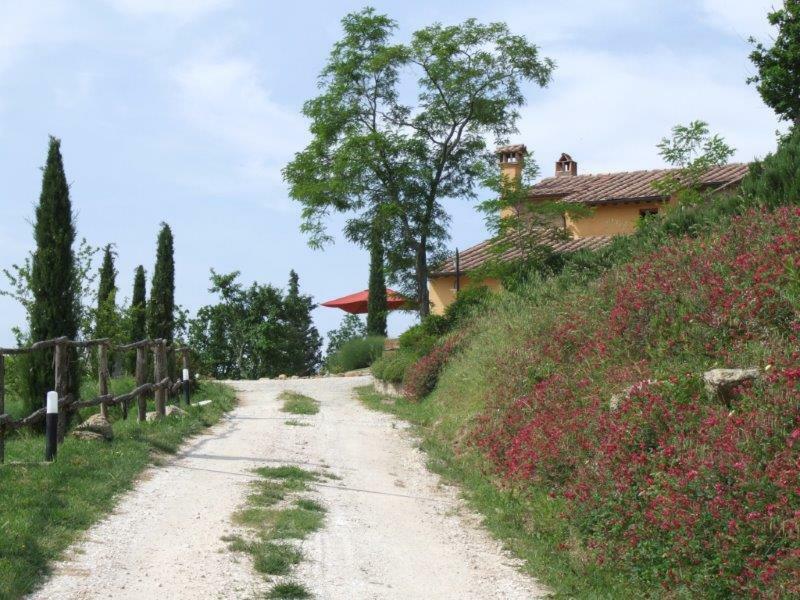 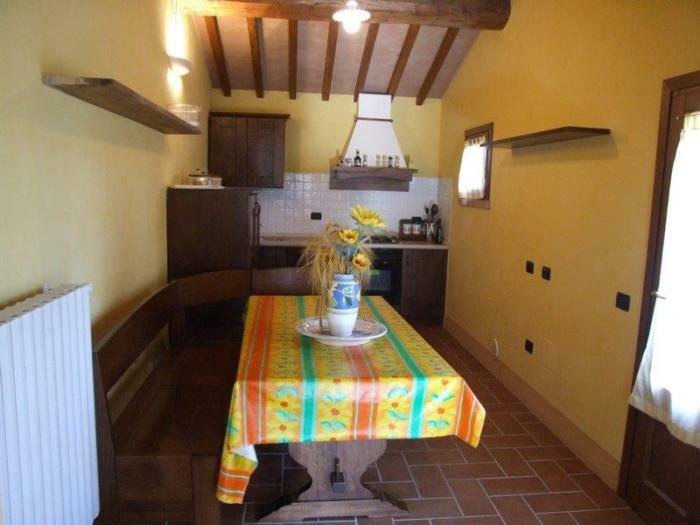 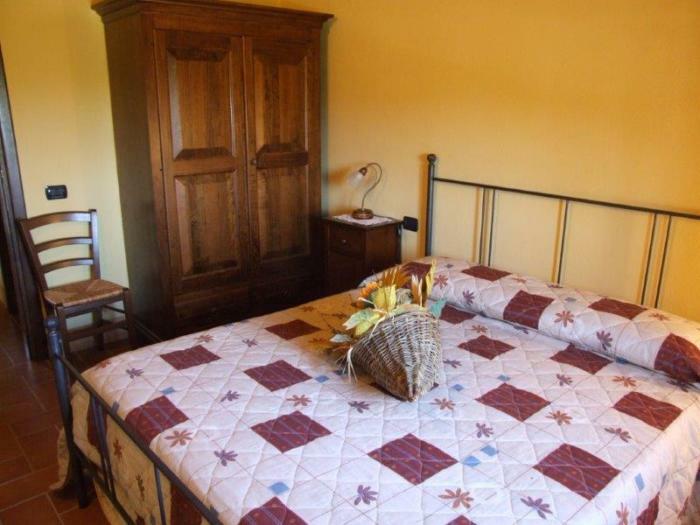 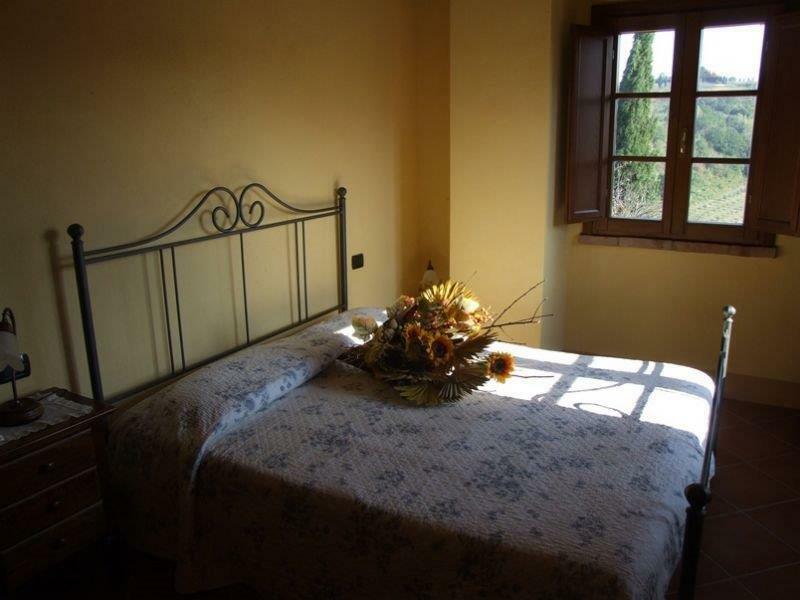 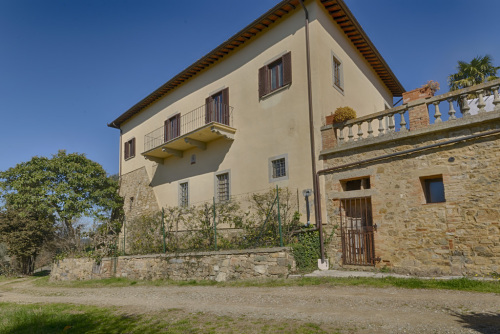 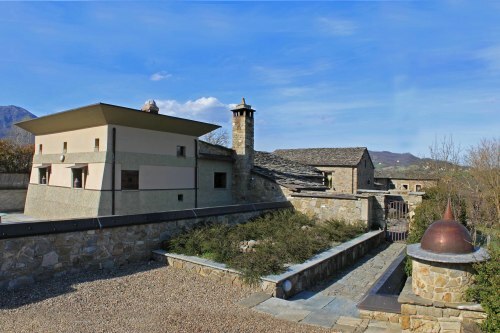 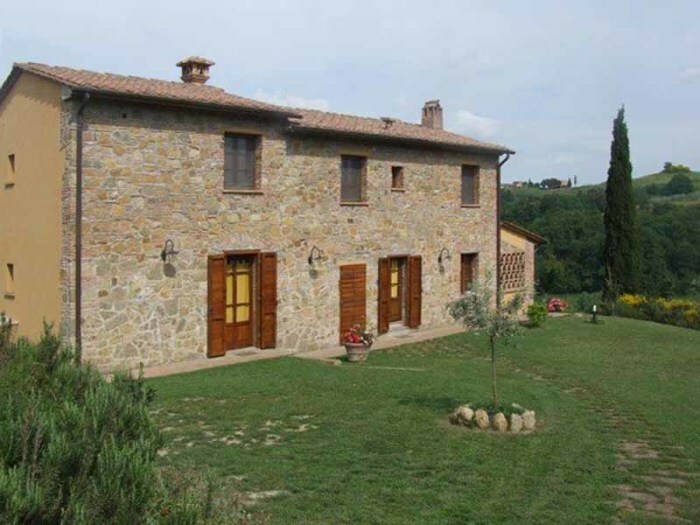 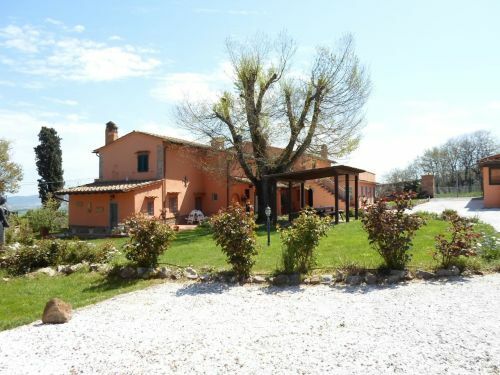 The property has been recently restored and has lovely views over the Tuscan hills. 2 bedrooms, each with bathroom, upstairs. 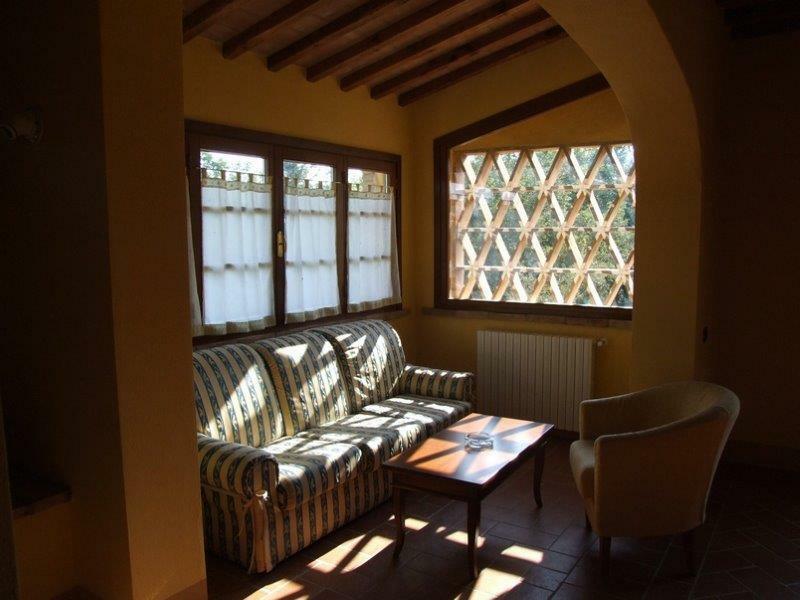 Features include the terracotta floors, beamed ceilings and brick arches. 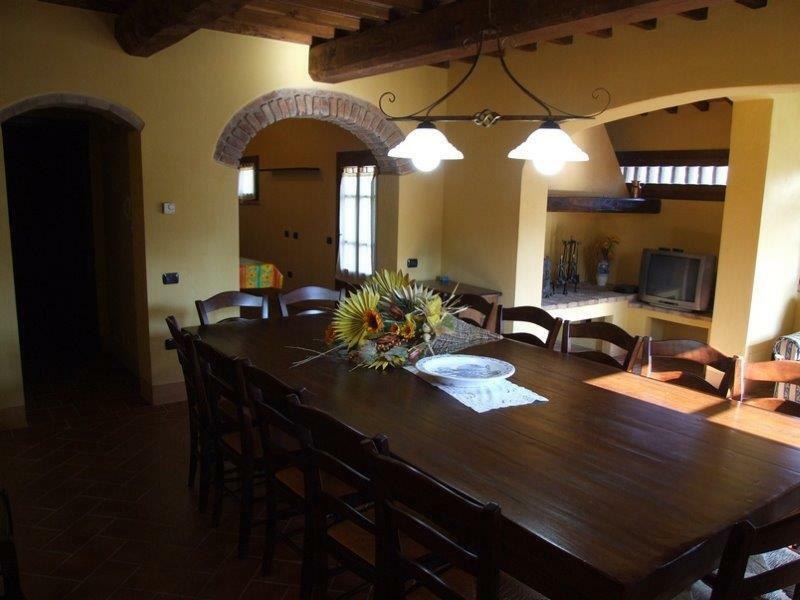 The house is sold fully furnished in the Tuscan style. 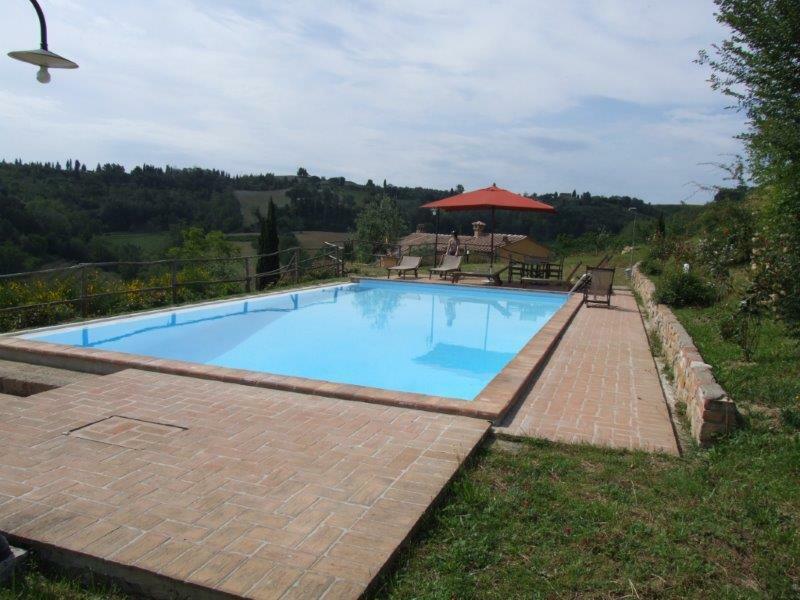 The swimming pool is 7 m x 14 m with surrounding terrace area. 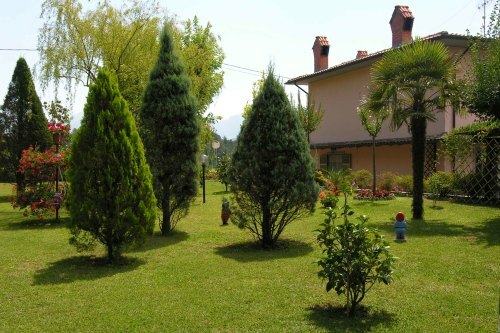 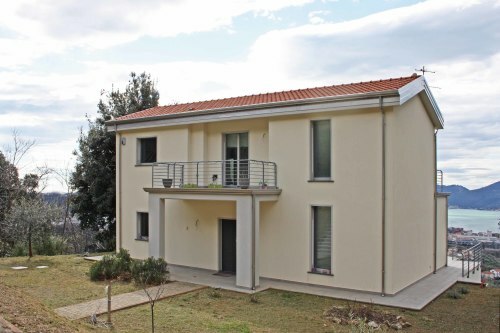 Set in 3.5 hectares (about 9 acres) of land with meadows, olive trees and a lawned garden around the house. 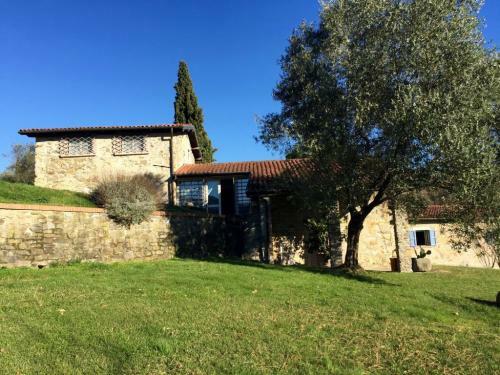 Set in the heart of Tuscany amidst rolling hills, fields of sunflowers and lanes lined with cypress trees meandering through the vineyards with plenty of wine producers to visit and where to taste the famous Chianti wines. 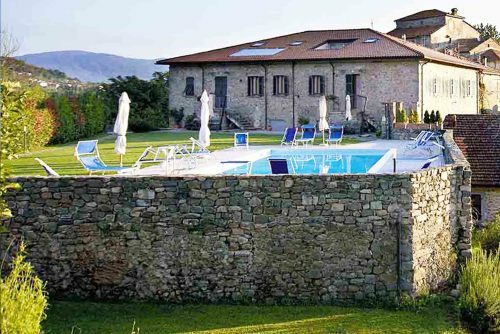 The nearby hilltop village of Montaione offers lovely views and pretty churches and is considered a gastronomic centre with a good selection of restaurants. 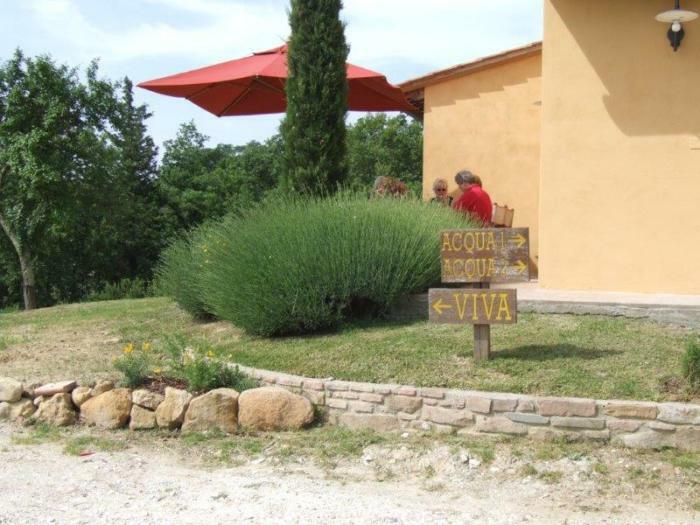 The white truffle fair is held here every year. 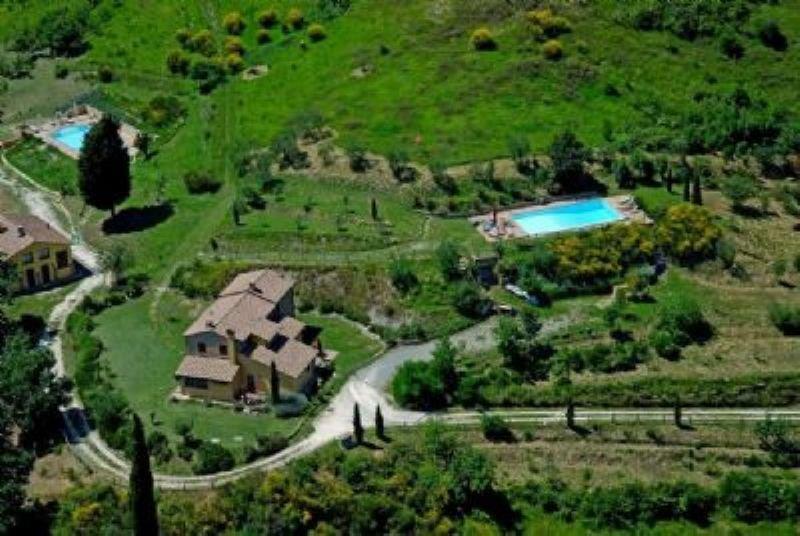 The cultural centres centres of Italy are within an easy drive with San Gimignano 19 km, Florence 50 km, Volterra 30 km and Pisa 60 km.